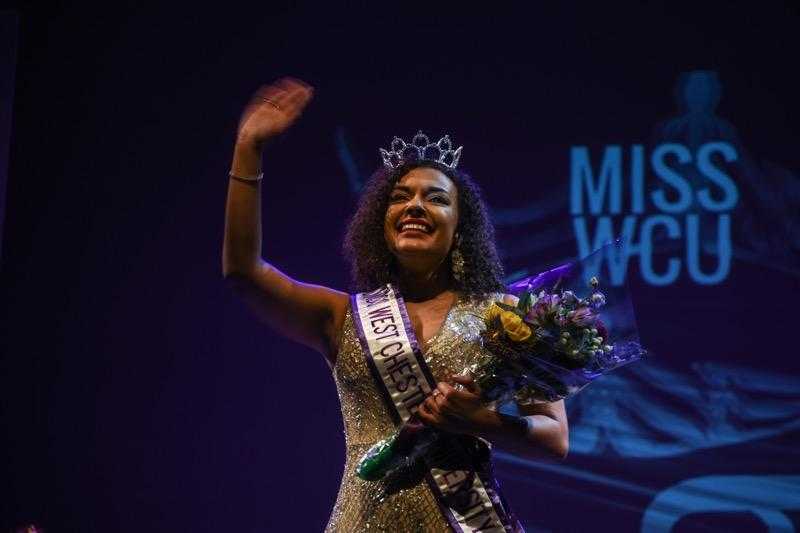 Chase Sanders, a junior majoring in vocal performance with a minor in psychology, won West Chester’s Miss WCU pageant on Feb. 2, taking the crown and coveted title of Miss WCU 2019. Sanders is involved in multiple organizations, including choir and opera, social media coordinator of the ACLC and a School of Music mentor. Sanders had nothing but good things to say about the process and her fellow contestants as well. She remembers filling out her paperwork in the beginning and getting excited for a new experience. She recalls learning the opening number and walking patterns at rehearsals, and said, “All of that time you get to know the other contestants. I think I’ve grown really close with a lot of them, ones I already knew and ones I didn’t.” She says making friends with the contestants was her favorite part of the experience. The platform she chose for the pageant was the Fresh Air Fund, a nonprofit that provides children living in the boroughs of New York City to spend a week with a host family outside of the city for a week. Her family has done it for two years and is planning to do it for a third this upcoming summer. “They say the experience is for kids, but it’s also for the families that participate,” she said. Sanders is excited and ready to take on the responsibilities of being Miss WCU 2019, and is excited for the upcoming year and the opportunities it will bring her.